A striking collection of chic products, beautifully presented in a black woven basket. Sparkling Prosecco will get the celebrations off to a great start and your recipient won't be able to resist the delicious contents which include handmade chocolate covered marshmallows, Christmas spiced fudge, flavoursome mince pies and mixed flavoured nuts. 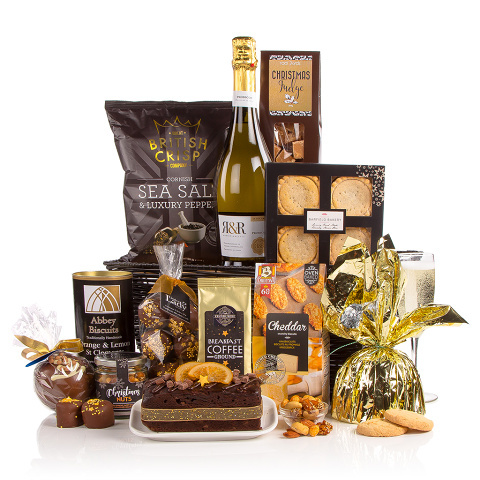 This is a great hamper choice for families and couples and will certainly make an impact as a corporate gift.